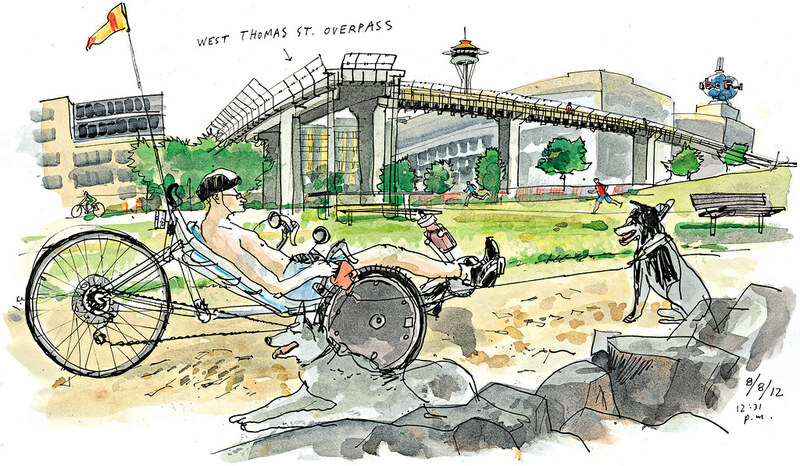 More than a decade since it was envisioned, a new pedestrian bridge connecting lower Queen Anne with the waterfront is scheduled to open by mid September. It’s not just any overpass. John Coney, of the Uptown Alliance, calls the West Thomas Street bridge the launchpad for the “Lake to Bay” loop, a pedestrian and bicycle trail connecting Lake Union, Elliott Bay and treasured city locations in between such as the Seattle Center, Myrtle Edwards Park and the Olympic Sculpture Park. Luckily, cyclist Larry and his cute dogs stopped by in time to spice up the scene I wanted to draw. For information about Lake to Bay loop visit lake2bay.org. 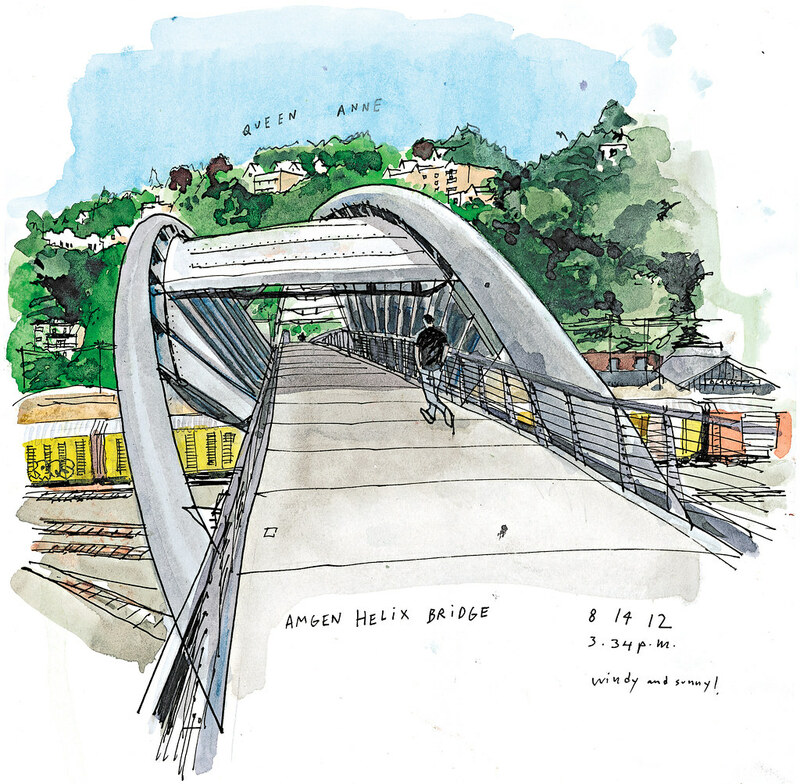 Here’s a striking bridge over the waterfront railroad tracks that I could spend days sketching. With its giant steel tubes twisted in the form of a DNA molecule, the Amgen Helix bridge provides a magnificent gateway into Centennial Park, not to mention an interesting commute path for those who work at the local offices of the multinational biotech company. For background about this bridge, which opened in 2004, you may be interested in this story or this architectural review.